A total solar eclipse starting on March 9 00:15 UTC and ending on March 9 03:38 UTC was visible only from the South Pacific. 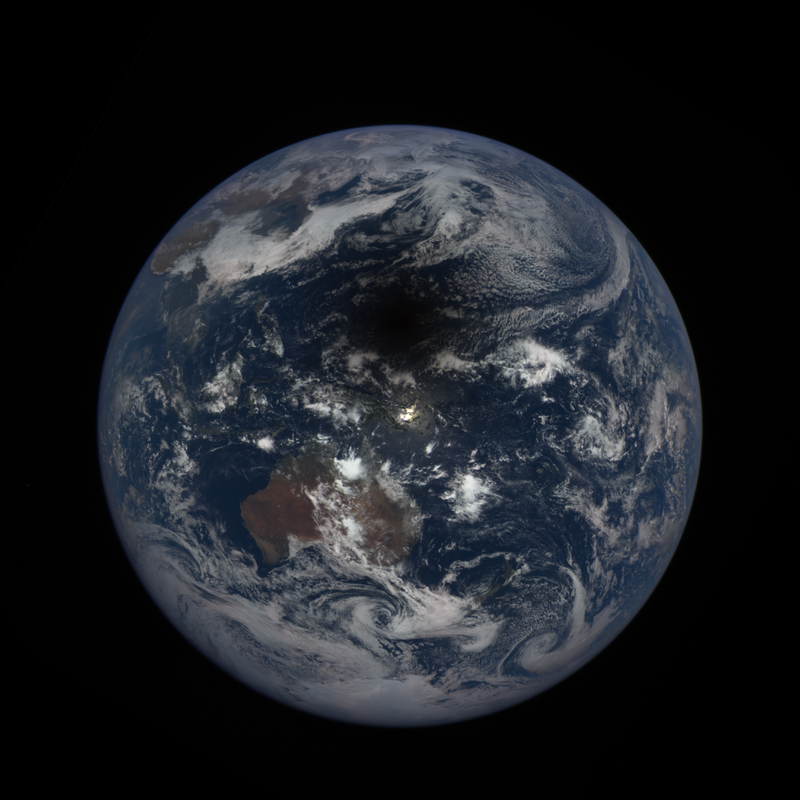 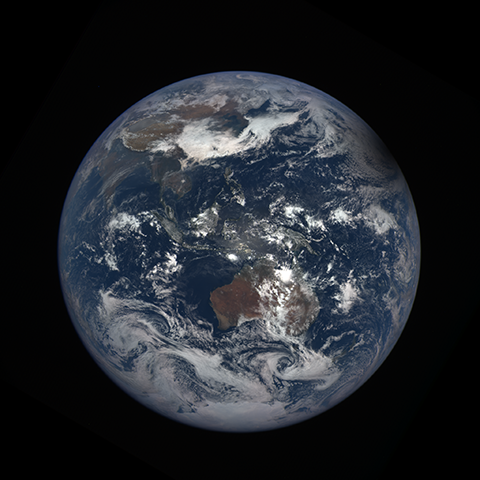 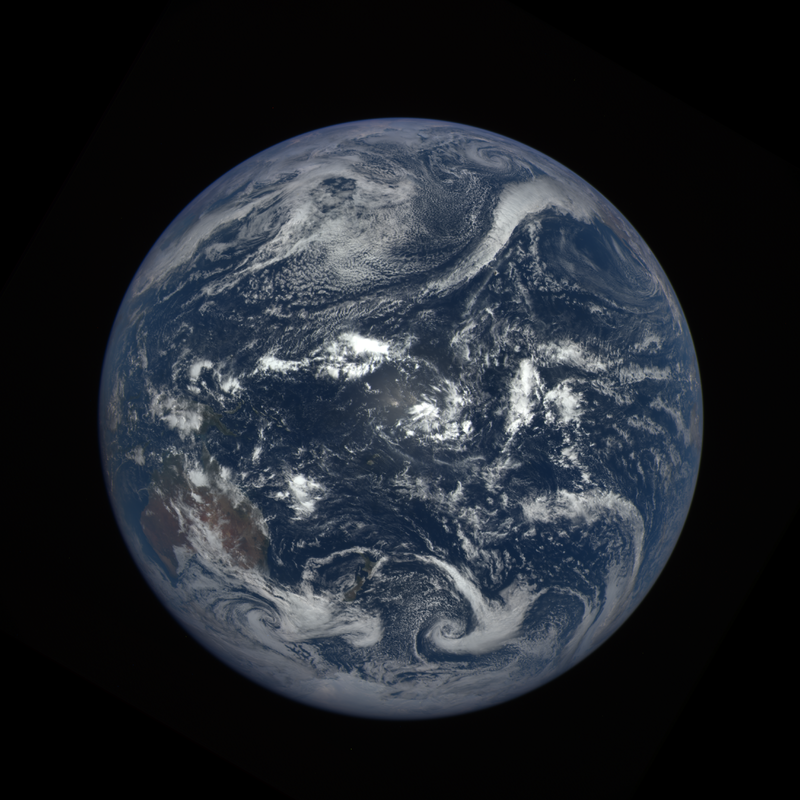 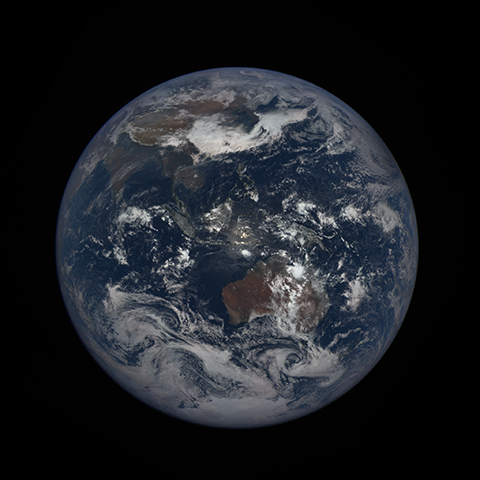 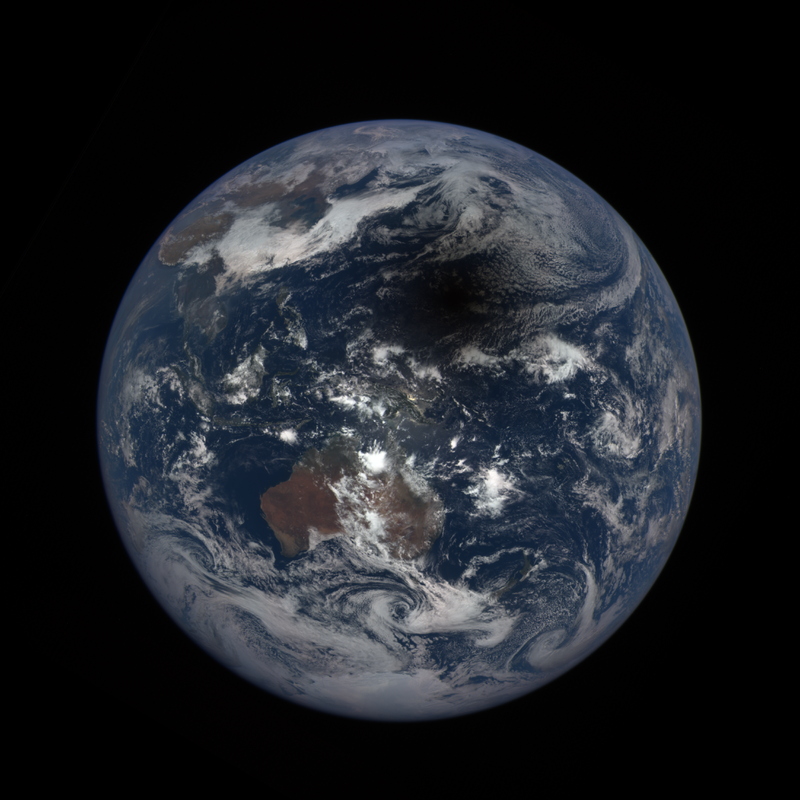 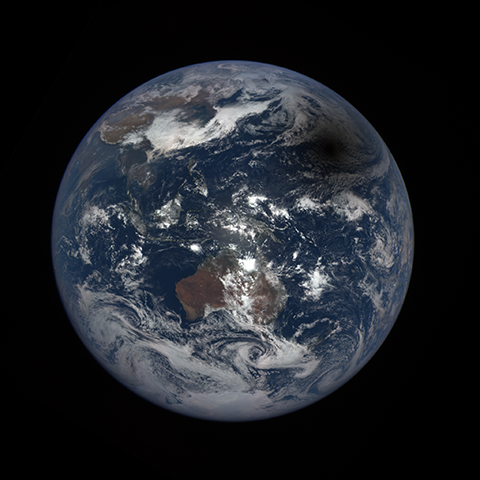 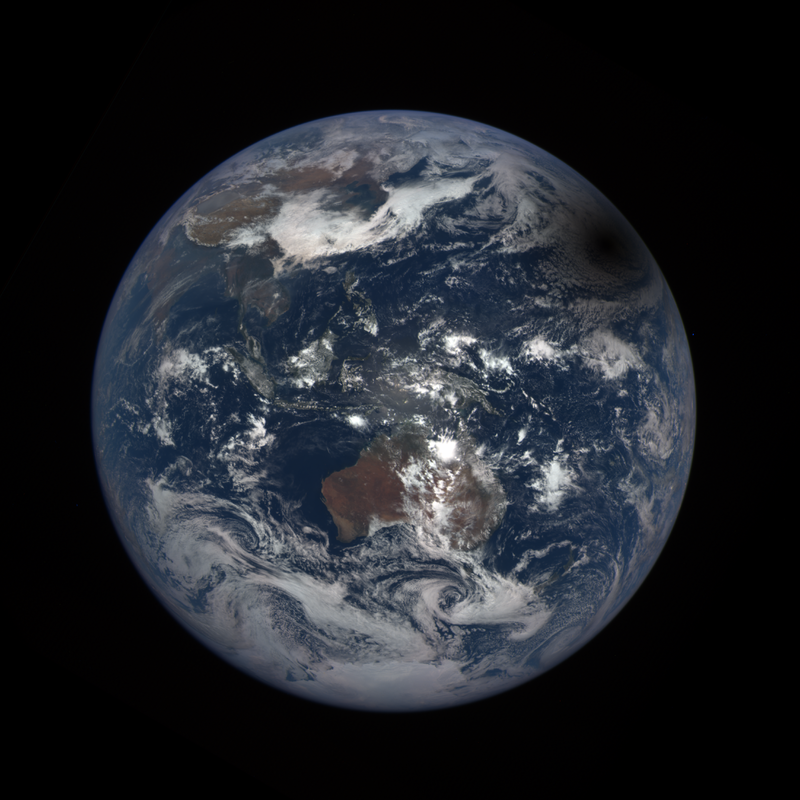 The DSCOVR EPIC camera was following the shadow cast by the moon on Earth during this time from its vantage point at the Sun-Earth first Lagrange point. 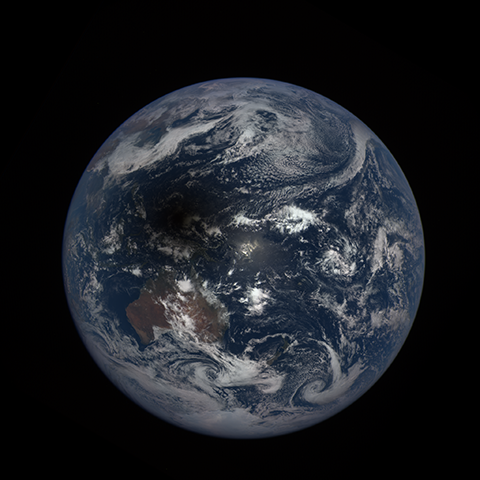 Note that the total eclipse is limited to the center black area of the shadow. The outer regions experienced a partial eclipse with a portion of the sun’s disk always visible. Hence some surface features and clouds can be identified.